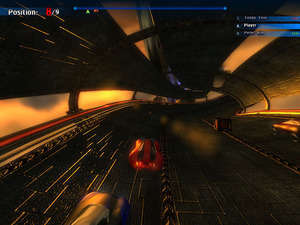 A little reminiscent of recent Star Wars episodes, Speed Racers is a racing game in 3D taking place in the cloud and features futuristic-looking graphics. As with most racing games, this one is about getting to the finish line in one piece by avoiding annoying obstacles that pop up here and there. The tracks are challenging and fun and can be played in a couple of different modes. If you have a slow computer without a very good graphics card, this game might now be for you. Version 1.92 is a freeware program which does not have restrictions and it's free so it doesn't cost anything. For security reasons, you should also check out the Speed Racers download at LO4D.com which includes virus and malware tests. Additional screenshots of this application download may be available, too. Speed Racers has a presence on social networks.